Blush Brush by Essence. 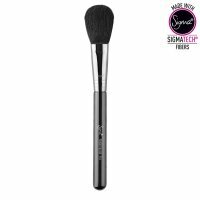 Perfect for precise blush application The brush is made of two-tone, soft synthetic bristles. The whole was set in thick and well lying in hand handle. 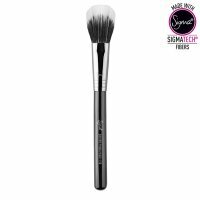 Pink - white bristles, with shimmering handle look very feminine, what will surely attract attention of many makeup accessories lovers. Essence offers whole line of essential, feminine brushes. Create your own set of basic make-up brushes with smokey eye brush, foundation brush , and eyeliner brush.